One Great Answer: What Is The Difference Between Weights And Cardio For Fat Loss? Does Exercise Help Relieve Stress? No one can argue against the fact that food cravings are one of the biggest obstacles when trying to stay fit or lose weight. And there are no cravings quite so strong as those for the things you know you probably shouldn’t be eating — (aka junk food). But, thankfully, scientists now think that playing a new game on your phone may curb even the strongest cravings. Yes, really. 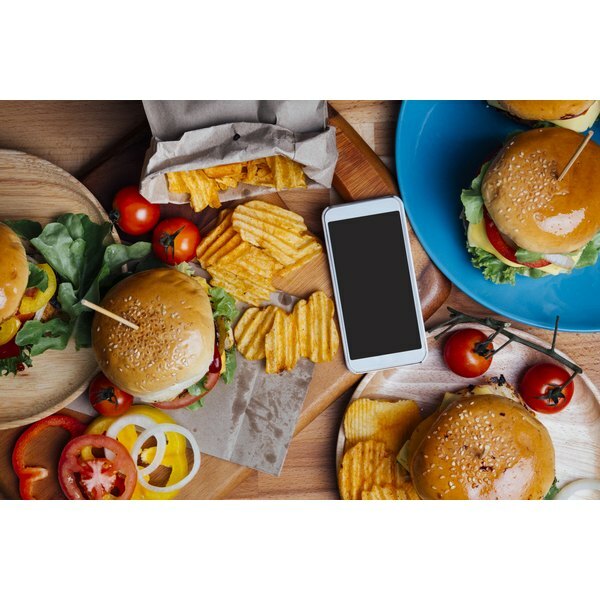 According to MUNCHIES, researchers at the University of Exeter in the U.K. released a smartphone app earlier this week called Food Trainer, a game the scientists say can help reduce caloric intake in adults. The claims comes hot off a study in which 83 adults played the game four times a week for a couple of minutes at a time. Surprisingly, the test subjects then began eating an average of 220 calories less each day, which is nearly the caloric equivalent of your average glazed doughnut. The game, which you can download for free consists of images of healthy and unhealthy foods popping up on your screen. The users are then asked to click on all the images of healthy food. Food Trainer isn’t the only app that’s proven to help people make healthier eating choices or lose weight. Our free LIVESTRONG.COM calorie-tracking app MyPlate has helped people lose over 15 million pounds just in 2016 alone by simply tracking their daily meals. How Many Calories Does Fidgeting Burn?